OnTrack Maintenance Services not only extend to the Commercial and Hospitality Industries, they also include the Domestic Household. 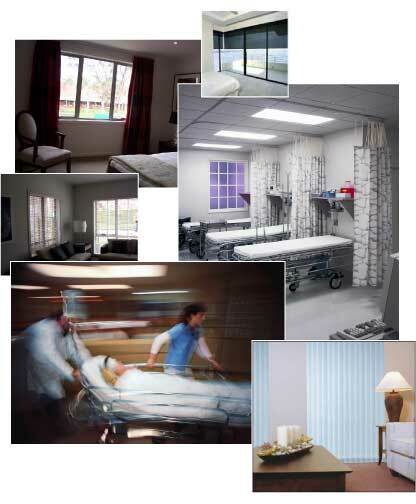 Our experience tells us that good functional window furnishings are necessary for the comfort of your clients. If these are not working properly it means your clients are inconvenienced, this can lead to loss of revenue until fixed. You will want to have this attended to in a professional and prompt manner with as little inconvenience as possible. With over 25 years experience in the industry means you can be confident that OnTrack Maintenance will do it right. Repairs to all types of window furnishings by trained courteous staff, who know the importance of client privacy and comfort. We stock a large range of parts to repair a wide variety of window furnishings, so inmost cases our service people will be able to fix problems on the spot.